Where Will Your Company Be, This Time Next Year? How do you respond to that kind of question? You look back over all the decisions that were made or not made, the forks in the road not taken. The events that just seemed to spring up out of nowhere and you went along with the flow. The conversations that didn’t happen, the habits and routines that keep feet and minds rooted in place. Look back over your last year in your business. How much of what happened was intentional and planned and how much ‘just happened’ and you now are staring at the results of ‘going with the flow’ or reacting to events and continuing with your routines. There comes a point in time in everyone’s life where it becomes vital to become intentional, to break through the log jams of routines that keep your company and your people tied to profit leaking results. 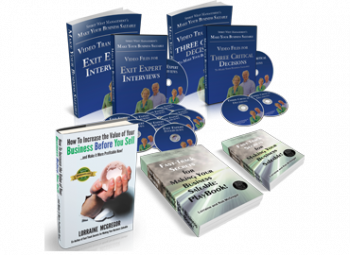 If you’re done hoping for better and getting less than you had expected, then it’s time to overhaul how you, the business owner, do your life. You need to start thinking with the end in mind BEFORE you start taking action or reacting to life’s circumstances. STEP 1 – Where do you want your company to be this time next year? Start thinking about what you do want so you can shed the habit of worrying about what you don’t want. What types of customers do you want to be serving? 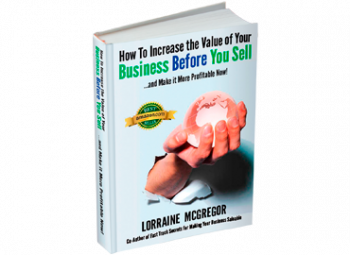 What profit margin and level of sales do you want to achieve? What does a desired end result statement sound like? It’s written as if it has already occurred. You have crossed the finish line, the end of the year looking back. Customers? We worked with aware, willing and motivated customers who have become our biggest fans. They generally spend more because they love what we do. And because we deliver what they love, they refer us, recommend us, and bring their friends. Experience? We figured out who our ideal customer is, then figured out what problem the ideal customer wants to solve or the experience they are looking for. Then we worked out a better way to deliver that solution from their perspective. We removed the hassles of doing business with us. Profit Margin and Sales? We increased our profit margin by 1% by increasing our prices by 1% and kept our fixed and variable costs the same as last year. How Do I want to Feel? I was able to take mini-vacations every 90 days and as a result my team is more independent. And reliable. They don’t need me as much because I learned how to communicate my expectations more effectively and trust them with making decisions that put the company first. I feel less stressed and more like part of a team I can count on. STEP 2 – For each desired end result statement that you write down (Yes, write them down!) define how that statement is different from what you have today. Customers? We don’t have a lot of repeat business. We spend a lot of money trying to get new customers. Experience? We solve multiple problems for lots of different types of customers, just like our competitors do. We know there are hassles when doing business with us. We just don’t know which ones to fix and how to fix them for everyone. Profit Margin and Sales? We haven’t been able to put up our prices because we’re afraid our customers will go to the competition. Sometimes we make a profit, sometimes we don’t. There are always one time costs that seem to pop up unexpectedly. How Do I want to Feel? My business feels like a burden. There is never enough time in the day. My employees can’t seem to make the right decisions on their own. I’m always refereeing some disagreement. And I seem to spend a lot of time in meetings where we debate what to do and never get it done to my satisfaction. STEP 3 – Given the way things are today, what things do I have to change now to get the desired end result I want for this time next year? Customers? Identify who your repeat customers are. Talk to them directly about what keeps coming back. Describe this type of customer and create a written profile. Then you will know your ‘secret sauce’. Develop a marketing campaign to get more of those types of customers that want your secret sauce. Experience? 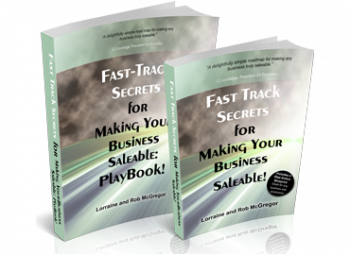 Bring more of your secret sauce into your operations plans. Discover the hassles embedded in how you do business by asking your customers what’s not good. Collect and track the problems. Assign responsibility to a multi-functional team to come up with better ways to fix the problems. Profit Margin and Sales? Develop new pricing scenarios. If you increase prices by 1% only, what impact might that increase have on your ideal customers’ buying habits? What do you have to do to keep the cost of goods sold constant? What one-time costs did you have last year that you won’t have this year? Set the expense budget. How much more cash will you add to retained earnings next year if you increase your profit margin by 1%. Communicate your financial goals to your management team. How do I want to Feel? Plan your 90 day vacations. Put them in the calendar for the entire year. List out all your daily activities for a week. Then evaluate, how much of what you are working on is tactical or administrative. You should be aiming at 60% of your time aimed at strategic actions (where the company is going, how we will get there) and 30% on tactical (implementing the plans to take the company to those goals) and 10% on administrative (inbox, email, paperwork). Get a coach so you learn properly how to delegate and mentor your people to do the work that you shouldn’t be doing anymore (hint: it takes more than telling someone once how to do something to make this change stick). Still working a functional role in your business? Start looking for your replacement, this year. STEP 4 – Evaluate what kind of additional help or support you need to make the changes from how things are today to how you want them to be. You may need a financial analyst to develop new pricing scenarios, someone to run a focus group or mystery shop your company. You may need a consultant to facilitate turning your team into a high performance strategic level group able to manage the company not just do their functional jobs. You might need to get yourself a coach to make the changes in how you manage and lead so that these changes actually take root. STEP 5 – Sequence which actions have to happen first. And get the help you need next. Even if you think you can plan and make these changes on your own, consider this. If you are a slave to the people at your door, your inbox, the telephone, your functional responsibilities, do you seriously believe you have the time and attention necessary to effectively lead this change project? You are going to leave your bottom line results in the hands of someone who doesn’t normally lead organizational change projects and has been ‘too busy’ to get it done? Where do you want to be this time next year? More of the same or real changes that add real value to your stress level, health, happiness, bottom line and to your customers and employees. If you want to talk about how to make your desired end result happen by this time next year, email CorrieW at SpiritWest.com for a free 30 minute consultation. Tell us where you want to go this time next year and we’ll give you some suggestions for how to get started.